Whether you’re on the go or you just like to roll your food these fun, healthy wrap recipes are for you! They are packed full of whole plant foods, our friendly fruits and vital veggies, in other words we love the work of mother nature and so should you! 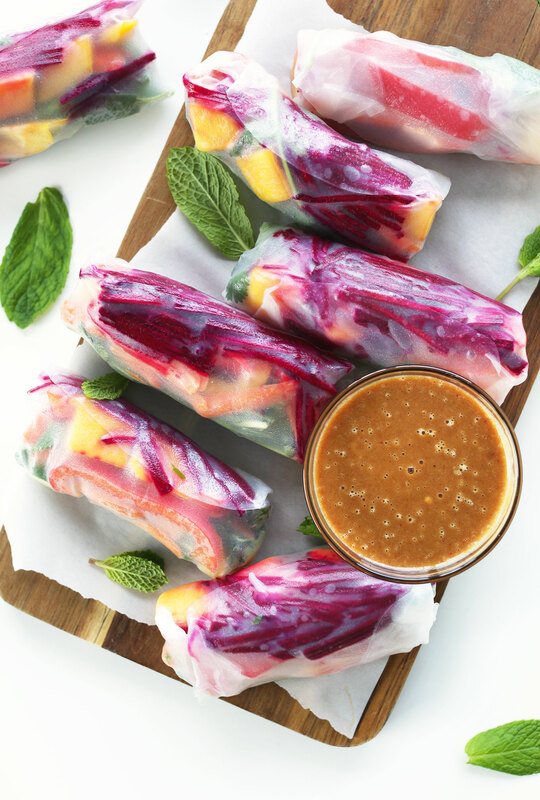 These colourful wraps are full of goodness and wonder! You can practically see the health through the vibrant phytonutrients pigments of the sweet potato and green leafy vegetables! You can wrap up at least 3 servings of your 5 a day in this recipe alone! Check out the full recipe here! And for more information on why you should be eating more beans click here! 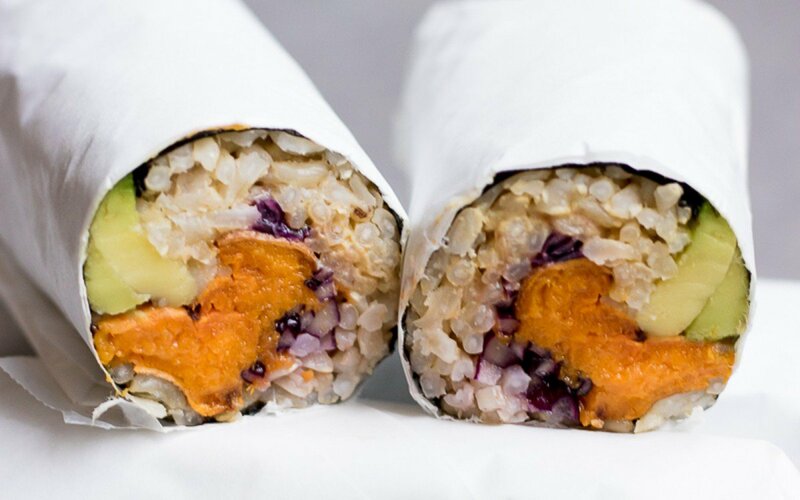 Just about everyone loves sushi and burritos, this sushi burrito recipe makes the best out of both worlds! Also the brown rice in this recipe whams in a punch that has been associated with increased weight loss, lower blood pressure and decreased inflammation! For more information on brown rice click here! 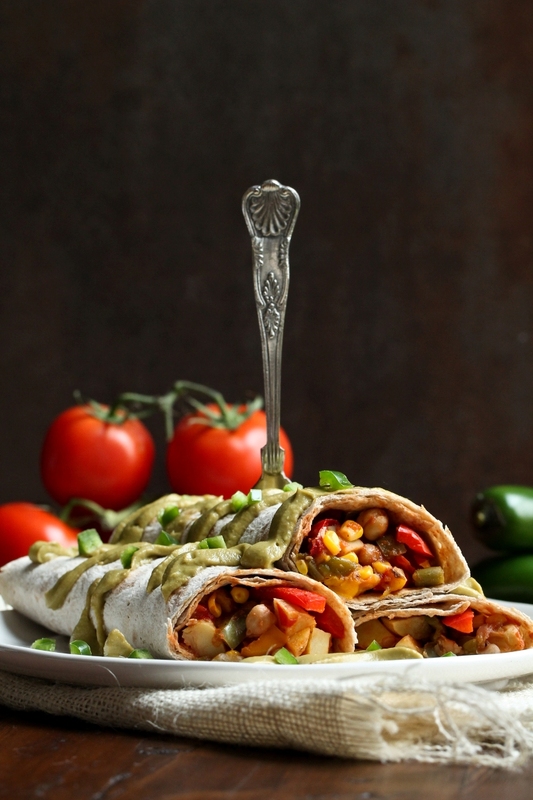 Then roll on over here for the full wrap recipe! 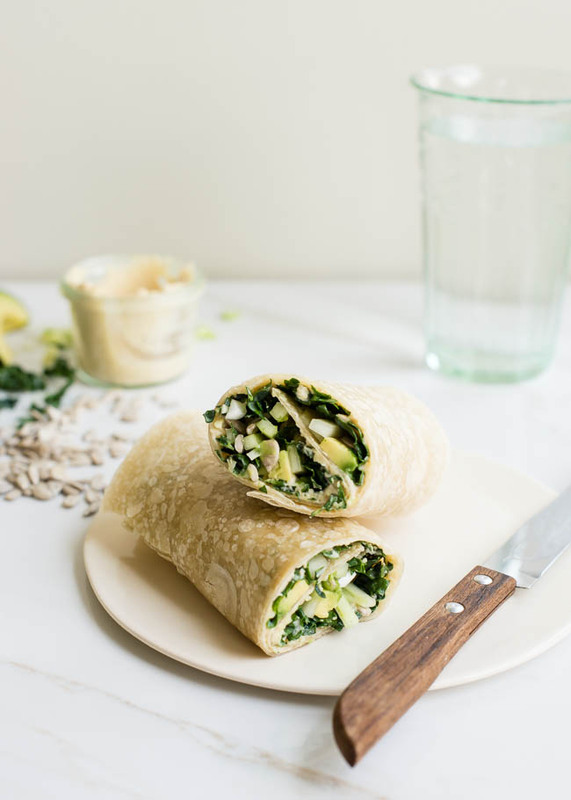 Throw your kale confetti in the air because this wrap is a celebration of health! This humble hummus wrap will have you humming with happiness! For the full recipe click here! This summer rice paper rolls all about rainbows and sunshine and are sure to leave you with a vibrant glow from head to toe! Check out the full recipe with the secret sauce here! Would you like to burry your worries with burritos? Well this recipe is for you! Check out the full recipe here! 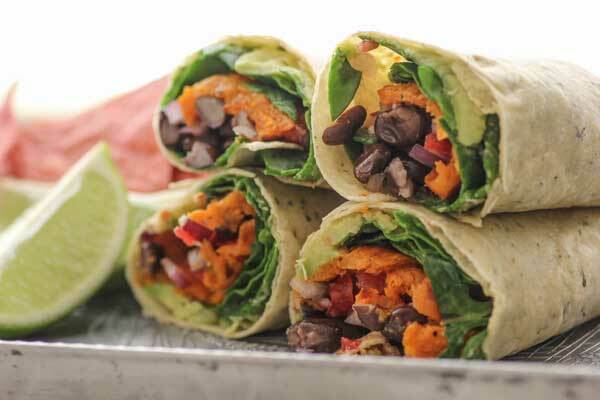 For more wrap recipes head on over here!